Looking to boost your income? ETFs can provide plenty of ways to add much needed yield. Income. It’s what retirement is made of. And while the Federal Reserve has been dialing up interest rates, finding big income from traditional sources is still hard to come by. Money market funds, CDs and even 10-year Treasury bonds aren’t paying much of anything these days. For income-starved retirees, getting a paltry sub-2% isn’t going to cut it. Finding better income solutions is a paramount concern. Luckily, there are plenty of exchange-traded funds (ETFs) that churn our big dividends and distributions for investors. ETFs own baskets of stocks, bonds or other asset classes and could be the cure to low-income woes. By buying an ETF, investors can score higher yields that, in some cases, have the ability to grow over time. 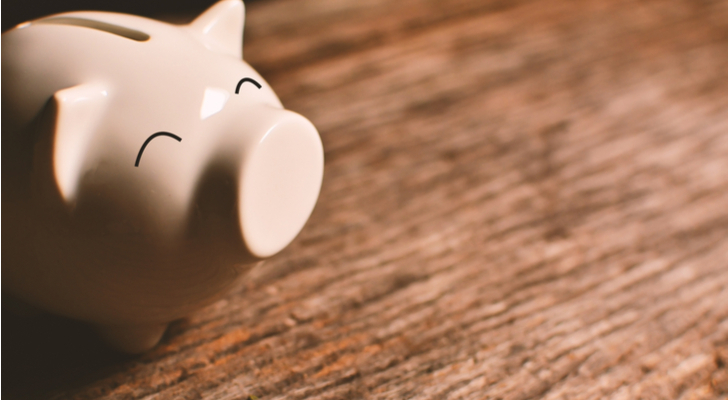 For those investors relying on their portfolios in order to eat, pay bills and keep a roof over their heads, the fund type could be a godsend. And with that, here are five ETFs that can boost your income. On first glance, the ProShares S&P 500 Dividend Aristocrats ETFs (BATS:NOBL) yield isn’t super appealing. At roughly 2.2%, it’s the same as a 10-year Treasury bond. But NOBL can do something that a 10-year can’t do — and that’s grow its payout. NOBL tracks a group of very special companies dubbed the “Dividend Aristocrats.” These are firms that have managed to grow their dividend payouts every year for at least the last 25 years. The fund tracks the subset of these firms in the S&P 500 and then equally weights them. What investors get is the ability to score a decent yield today, but also one that will rise over time as these firms continue their streak of higher and higher payouts. Even better is that the 50 firms in NOBL have managed to outperform the regular S&P 500 in a big way. One hundred dollars invested in the S&P’s Dividend Aristocrats when it was first launched in 2005 would be worth around $400 now. That number would be less than $300 for the regular S&P 500 during that time. Meanwhile, NOBL has been far less volatile than the regular index too. For investors looking to grow their income over time, NOBL offers one of the best ways to do just that. And with an expense ratio of just 0.35% — or $35 per $10,000 invested — it’s a cheap option as well. Real estate investment trusts (REITs) have long been a great way to boost the income generated from a portfolio. That’s because REITs feature a special tax structure that allows them to push out much of their cash flows to investors. Those cash flows are driven by the rents and profits from the underlying properties they own. So as apartments, office buildings and shopping malls keep churning out rent growth, REITs dividends should rise. The iShares Cohen & Steers REIT ETF (BATS:ICF) is a particularly great ETF to play the asset class. ICF focuses on the so-called “realty majors.” That is, the biggest firms in their respective property types. When it comes to shopping malls, Simon Property Group Inc (NYSE:SPG) is the kingpin. Apartments it’s AvalonBay Communities Inc (NYSE:AVB). All in all, ICF holds 30 of the biggest REITs in the country. For income seekers, that’s a great focus to have. While the headline yield at 3.3% isn’t as great as some REIT ETFs, the fund provides plenty of stability of payout. ICF’s underlying holdings feature huge asset bases, cash flows and wiggle room to keep dividends going in times of stress. With this ETF, investors get a decently high yield and a near guarantee that this yield will keep going during the next market hiccup. That’s a pretty good deal that comes with expenses of just 0.34%. Closed-end funds (CEFs) are kind of weird birds. They trade on exchanges like ETFs, but have a fixed number of shares to them. This means that can trade at premiums or discounts to what they are really worth — or their net asset values (NAVs). Perhaps more importantly for income seekers, those discounts and a bit of leverage means that most CEFs have huge dividends. But navigating the market of CEFs can be quite difficult for the average investor. The First Trust CEF Income Opportunity ETF (NASDAQ:FCEF) makes adding the income boost easy. FCEF is an active ETF, and as such it has managed to provide a high income with capital appreciation as the second objective. So, total return is the key with dividends providing the bulk of that return. The fund has the leeway to invest in any corner of the CEF- including corporate bonds, municipals, stocks and option-income funds. Currently, FCEF has 40 funds in its holdings and features an average discount to NAV of 7%. You’re basically buying a dollar’s worth of assets for 93 cents. The combination of CEFs produces a pretty decent yield of 4.6%. While closed-end funds are quirky, they are a great income tool. FCEF makes adding a swath of them easy. Finding a high yield and getting rising interest rate protection is a paramount concern for investors. A great way to find both may lie in senior bank loans. These pools of bank loans adjust rates every 30 to 90 days. This makes them attractive in rising rate environments. As the Fed raises, those increases will be reflected in bank loan’s coupons. But senior loans are often issued to companies with credit ratings below investment grade, so they offer higher starting yields than Treasury bonds. This makes them a great play for investors seeking a high yield in today’s environment. 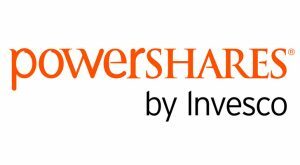 The PowerShares Senior Loan Portfolio (NYSEARCA:BKLN) is the largest of the bank loan ETFs and represents the best play on the sector. BKLN tracks the S&P/LSTA U.S. Leveraged Loan 100 Index, which holds 112 different bank loans. And don’t let the name or asset class worry you. The ETF’s holdings include loans to firms like Burger King or computer giant Dell. These aren’t fly-by-night operations. All in all, the asset class offered by BKLN is one that most investors ignore. But thanks to ETFs, they can now tap it with ease. And in this case score a 3.5% yield that has the potential to grow. Given the sheer variety of ways to score high income from ETFs, putting together the right mix of funds can be a daunting task. Luckily, the good people at BlackRock have done the heavy lifting for you. The iShares Morningstar Multi-Asset Income ETF (BATS:IYLD) could be all you need. IYLD uses a “ETF of ETFs” approach. That is, the fund holds other iShares ETFs and index funds in a proportion according to its objective. Currently, its allocation is made up of 60% bonds, 20% stocks, and 20% alternative income sources. With that allocation, investors get a little bit of everything — from emerging market and traditional corporate bonds to asset-backed securities and international dividend-paying stocks. 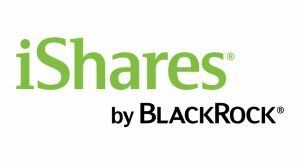 Top holdings include the iShares IBOXX High Yield Corp Bond (NYSEARCA:HYG), iShares MBS ETF (NASDAQ:MBB) and iShares Core High Dividend ETF (NYSEARCA:HDV). For investors, IYLD could be one of the best and easiest ways to boost the income from a portfolio. By buying the ETF, a portfolio would have instant access to a wide variety of income-generating asset classes. And they would also have access to IYLD’s high 7.5% distribution yield. Article printed from InvestorPlace Media, https://investorplace.com/2018/03/5-etfs-boost-income/.